NightEyes DaySpring relaxing in the perfect way - a cup of tea and surrounded by good books! I should indulge myself in this more often. 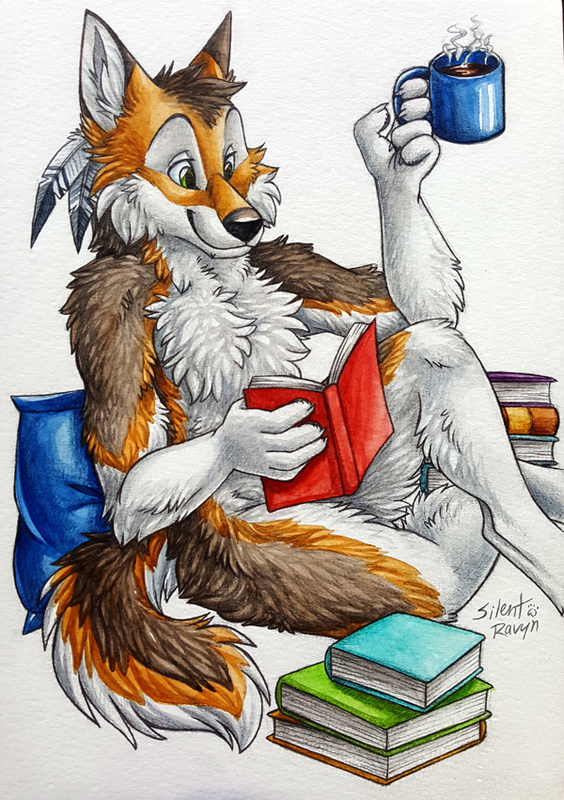 This was a simple watercolour painting commission for NightEyes.